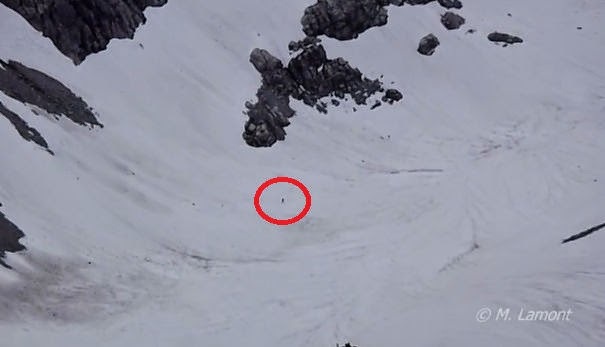 Some guys hiking "out in the middle of nowhere" catch a glimpse of something walking up a steep snowy incline in the distance and wonder if it could be a Bigfoot. After watching it for awhile they turn on their camera and begin filming. It appears to be moving somewhat fast and heading into the mountainous wilderness near Squamish, British Columbia. Which is about 70 miles north of the Washington border. Could this actually be a Sasquatch? You're in the middle of nowhere, but no one else can be? As enthrawling as an ant on a windshield. This will break open the bigfoot debate. Looks like Todd Standing, did you see the way it blinked! ?